Celebrate the best of Nashville and Memphis in a spring trip to Music City and Home of the Blues. DeKalb County Farm Bureau and American Classic Tours present the Music Road Trip, March 22-28, 2019. Registration is currently being accepted. Nashville highlights include: 2-night stay at Opryland Hotel & Resort; guided tour of Nashville including Music Row featuring recording studios, homes of music stars; Parthenon; Ryman Auditorium; Country Music Hall of Fame private session with songwriter; Grand Ole Opry Show. 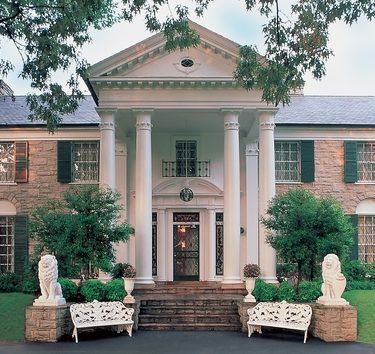 Memphis highlights include: 3-night stay at the new Guest House at Graceland Hotel; platinum tour of Elvis Presley’s home, grave site, aircraft, cars; guided tour of Memphis showcasing Sun Studios, downtown; Peabody Hotel Duck March; Rock and Soul Museum; Gibson guitar factory tour. Also featured is the Shiloh National Military Park, St. Louis Art Museum and Gateway Arch, among other attractions, plus meals. For a detailed itinerary visit the Farm Bureau office. Cost is $2,698 per person double occupancy.